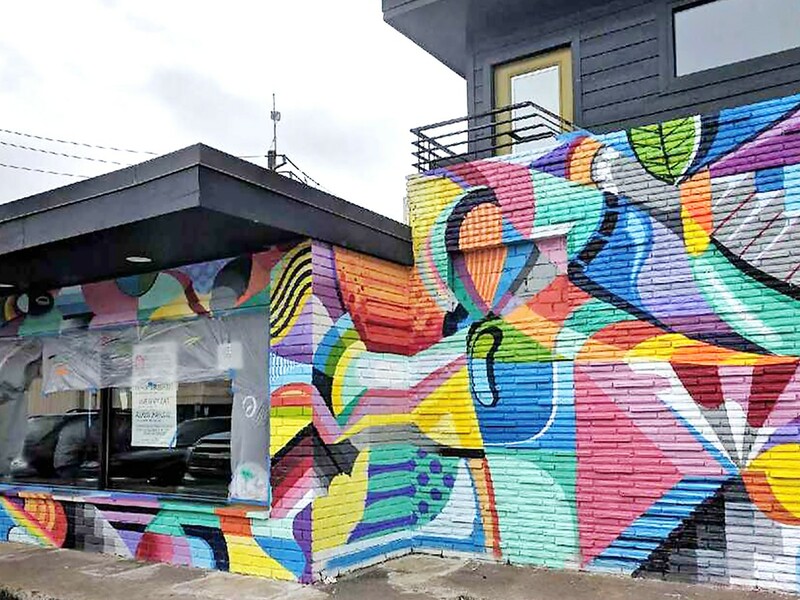 The exterior of Coral Sword, accented with a brightly painted mural. Photo by David Buehrer. Baseball might be San Francisco Giants’ outfielder Hunter Pence’s job, but gaming—as in card, board and role-playing games—is his hobby. That’s a love he shares with his wife Alexis, Greenway Coffee Company’s David Buehrer, Ming Chen of AMC’s reality television series “Comic Book Men” and Sanford Bledsoe III, formerly of The Espresso Bar in Ann Arbor, Michigan. 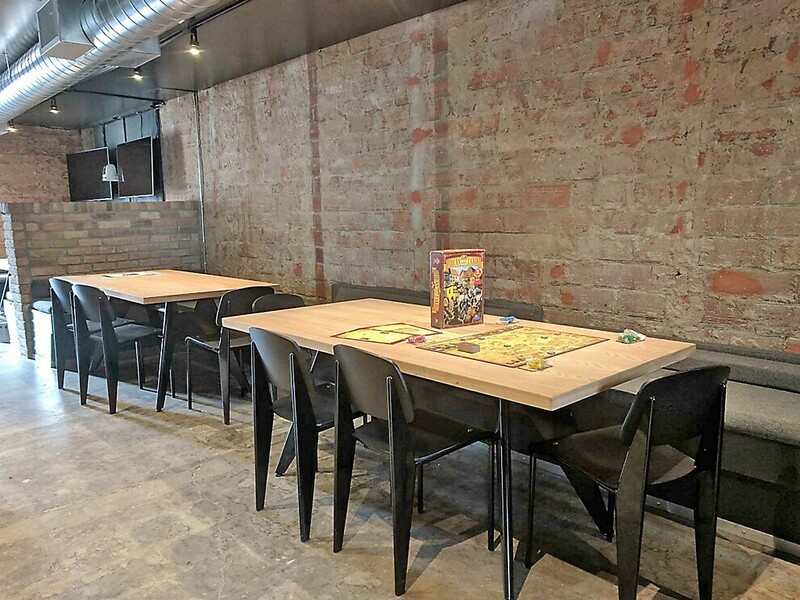 Collectively, the group has founded Coral Sword Games Café at 1318 Telephone Road. It officially opens from 7 a.m. to midnight on Friday, February 2. Coffee, tea and food will be half off on opening night. Many Houstonians probably know baseball player Hunter Pence from his time with the Astros. He played for Houston from 2007 through 2011 before being traded to the Philadelphia Phillies and then ending up a year later with the San Francisco Giants. The good timing meant that Pence was part of the Giants when the team won the World Series in 2012 and 2014. That said, during the off season, Pence still makes Houston his home. One of the gaming areas inside Coral Sword. Photo by David Buehrer. Unlike Buehrer’s other Houston coffee shops—Greenway Coffee & Tea, Blacksmith, Morningstar and Prelude Coffee & Tea—Coral Sword is open late and the drinks include beer and wine. Pizza is on the menu to sate the appetites of guests who will have access to a gaming bar and even a podcast booth. Coral Sword will also regularly live-stream the goings-on on its Twitch TV channel. That includes Monday Night Scrabble, Tuesday and Thursday Night Smash Bros Tournaments, and Friday Night Magic (as in the card game Magic The Gathering). The space is also available to rent for events, workshops and tournaments. The shop will be a haven for comic book fans, too. While they won’t be sold at Coral Sword, a curated selection of books and graphic novels are available to borrow and read alongside the refreshment of choice. Coral Sword’s regular hours of operation will be Mondays through Saturdays from 7 a.m. to midnight and Sundays from 10 a.m. to 10 p.m. Welcome to the East End, Coral Sword! Thanks Hunter/Alexis and friends. Let me know, please, if I can quote on your hospitality linen service. Norma, I don’t know if Coral Sword is the kind of place to use your service, but you ought to consider placing an ad with us! Many restaurant owners read our articles. Email [email protected] for details. You can place a Services Offered classified ad for only $20 or be actively showcased/promoted for at least a week on our website/social media at a higher price.